Tuesday Morning Sketches #297. Coloring is therapy for me. So Monday when I started stamping and coloring this I had some heavy thoughts on my mind. 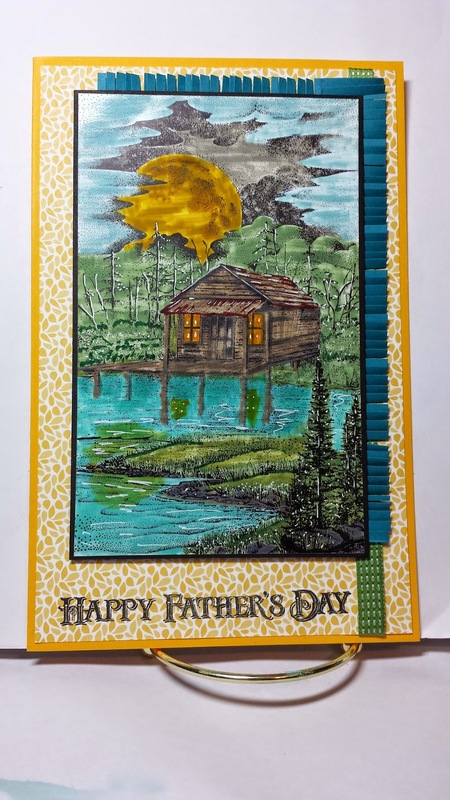 I finally was able to complete the coloring and making into a card this morning. Hope you like the little scene I have created. Wonderful card! I love this scene! Fantastic!! I love the scene and you coloured it to perfection. Thank you for playing along with Tuesday Morning Sketches.